Aiming a laser at an aircraft is a serious safety risk and violates federal law. 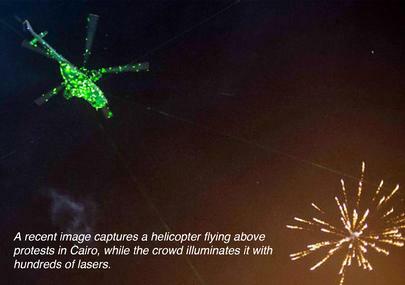 High-powered lasers can disable pilots who are trying to fly safely to their destinations and may be carrying hundreds of passengers. Unfortunately, reported incidents of lasers aimed at aircraft are steadily becoming more common - with the number reported to the FAA increasing from 1,527 in 2009 to over 7,700 in 2015. Until now, if a pilot wanted to fly with protection from laser strikes, the only option was to utilize amber colored view protection; usually in the form of goggles. While providing the necessary protection from green lasers, it forces the pilot to view the instrument panel through an amber filter at night. All instruments are seen in an orange tinted color and the pilot is unable to distinguish blue/green colors as the amber filter blocks them. Aside from aviating and navigating consistently, the number one most effective prevention method for laser incidents is anticipation – when operating in a known or suspected laser environment, wear protective eyewear. 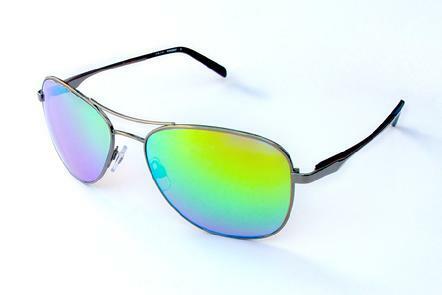 The frames for the glasses model are manufactured to industrial laser protection standards. They are robust and can withstand daily usage for many years. The design provides protection to the wearer from laser attacks. The lens is manufactured for strike protection from green (532nm), blue (445/450nm) lasers and protection from Infra-Red and Ultra-Violet. The lens can be manufactured with the user’s corrective vision prescription if desired. 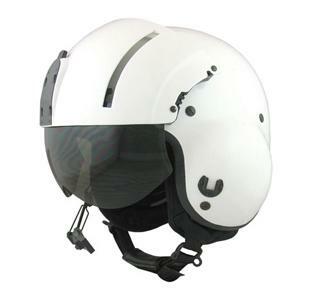 This helmet visor is treated with the same green, blue, UV and IR laser protection as the glasses. They are made for use on any helmet employing built-in or attached visors and provide the same true color spectrum vision for the user. All products shown here are Night Vision and Heads Up Display compatible.